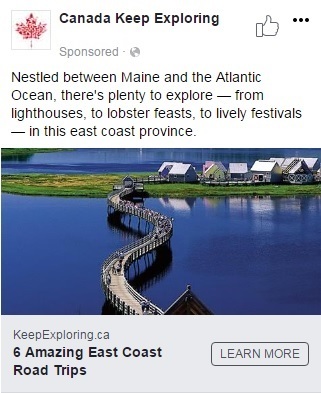 In 2018, the Atlantic Canada Agreement on Tourism (ACAT) invested in a direct-to-consumer advertising campaign in the Mid-Atlantic (New York, New Jersey, and Pennsylvania) and New England (Maine, Massachusetts, New Hampshire, Connecticut, Vermont and Rhode Island) regions of the United States. 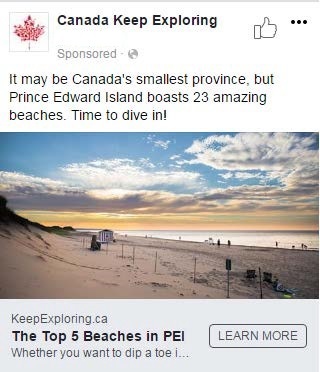 This campaign positioned the four Atlantic Provinces as preferred leisure travel destinations among identified Explorer Quotient (EQ) segments. The targeted segments for the ACAT 2018 campaign included Older Authentic Experiencers, Younger Authentic Experiencers and Cultural Explorers. ACAT conducted consumer research within these markets using a targeted approach and segments to understand traveler characteristics and interests, travel behavior and destination experiences, activities as well as assess destination and brand awareness. Check out the 2018 US Consumer Study and Highlights report for more details. Here are a few of the key findings. 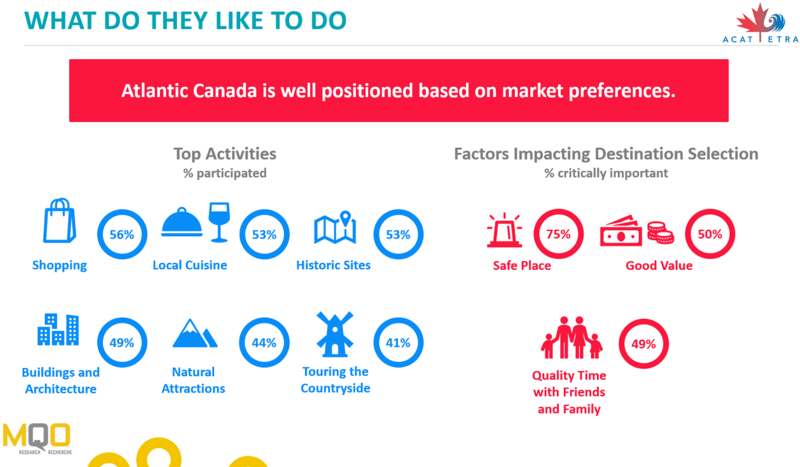 Outside of shopping (the most popular activity), visitors to Canada are most likely to have participated in activities that immerse them in the local culture and surroundings. • The top activities during past travel to Canada included shopping, historic sites, experiencing local cuisine, strolling around to observe buildings and architecture, and visiting natural attractions. • These top activities (outside of shopping) are also things that were of most of interest to travelers who fit the target EQ segments and thus should be heavily promoted in future marketing campaigns. • Older Authentic Experiencers and Cultural Explorers were more likely to take in fine dining experiences on vacations to Canada. 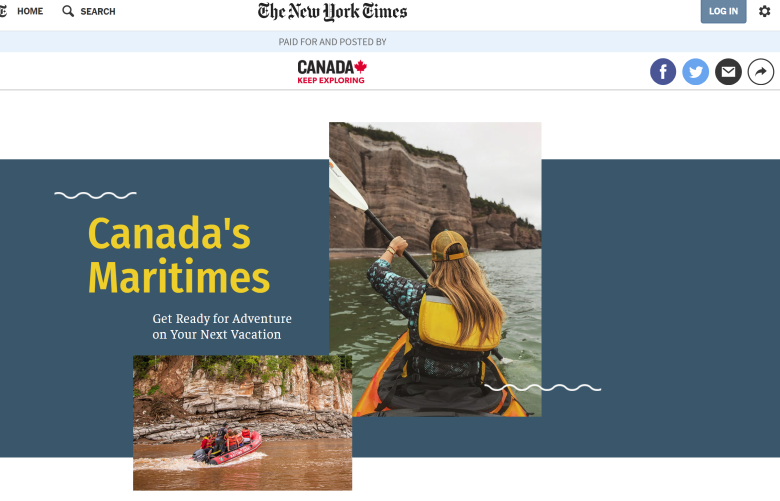 • Interestingly, travelers tended to take part in fewer activities and attractions while on vacations in Canada compared to trips within the US. The top factors affecting destination selection included being a safe place to visit, offers good value for money and a place to spend quality time with friends or family. While these are fairly “general” travel requirements for any destination, there were a number of characteristics which were of more importance to those who fit the target EQ segments including being a place that provides intellectually stimulating travel experiences, having cities that are great for exploring and soaking in the atmosphere, having a unique culture that I would want to experience on a vacation, and being a place where I can experience things that I can’t experience at home. Atlantic Canada’s ability to deliver on these characteristics should be leveraged in future marketing campaigns. The January to April time frame is a key period for marketing and communications efforts given this is when the majority of trip researching and booking occurs for New England and Mid-Atlantic travelers. • The majority of trips taken by New England and Mid-Atlantic travelers occur during the peak season from May to October (with July – September being the prime travel period). • Trip planning begins up to 5 months prior to the trip while on average travelers start booking their trips 3 to 4 months ahead of time making the January to April time period a very important period for marketing Atlantic Canada. • Cultural Explorers indicated they take the least amount of time to plan/book their trip which is consistent with their segment profile. 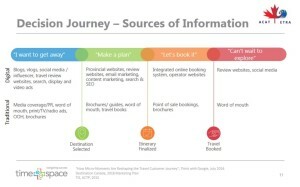 Online sources are key during the trip planning process. 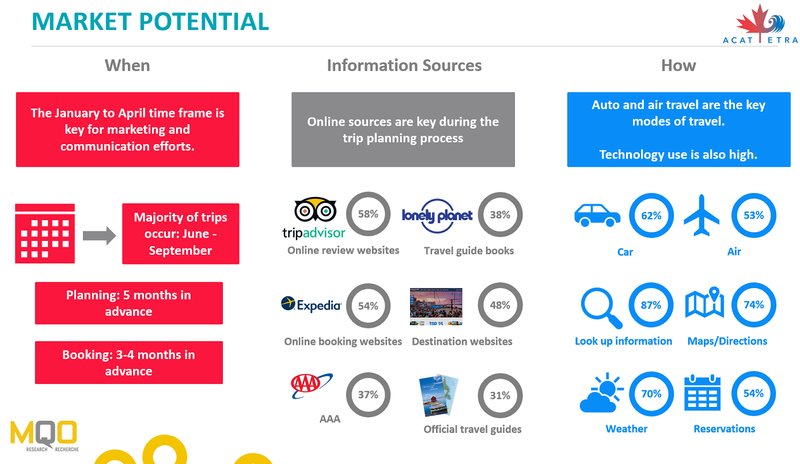 • The top three information sources for New England and Mid-Atlantic travelers included review and booking websites along with destination websites. • Other sources like travel guide books, AAA, word of mouth and official travel guides are secondary to online sources. New England travelers were more likely to use AAA and word of mouth. • AAA, travel guides and maps play a bigger role for Older Authentic Experiencers than other segments which is important to note when targeting this group. Auto and air travel are the key modes of travel for trips to the Atlantic Provinces. Passenger vehicle was the top mode of travel for both New England and Mid-Atlantic travelers followed closely by air travel. New England travelers were more likely to indicate traveling by car which is expected given the closer proximity to the Atlantic Provinces. This entry was posted in What's New on 10/26/2018 by Colleen Bowes. 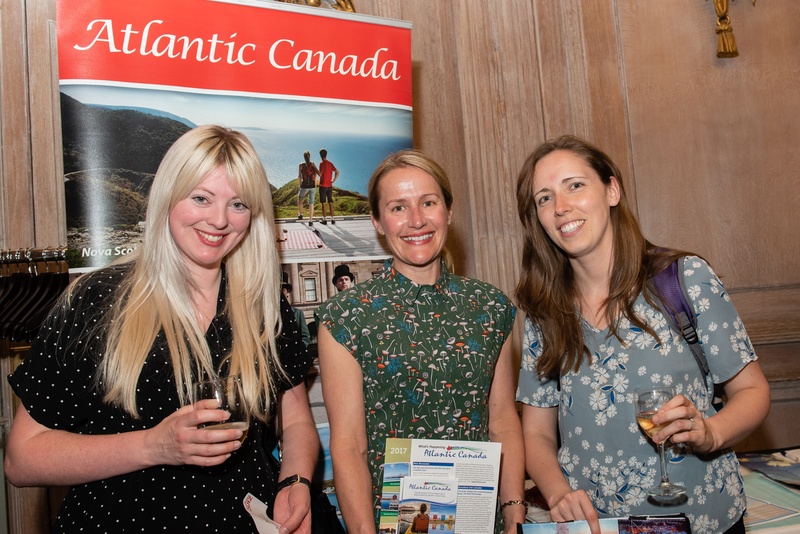 ACAT’s media relations program in the U.K. includes press releases, media outreach, networking events, and media visits to promote Atlantic Canada as a top travel destination. ACAT’s contracted U.K. media relations firm, The Brighter Group conducts activities on behalf of the region, inspiring U.K. media to produce Atlantic Canada content in newspapers, travel and lifestyle magazines, and television. 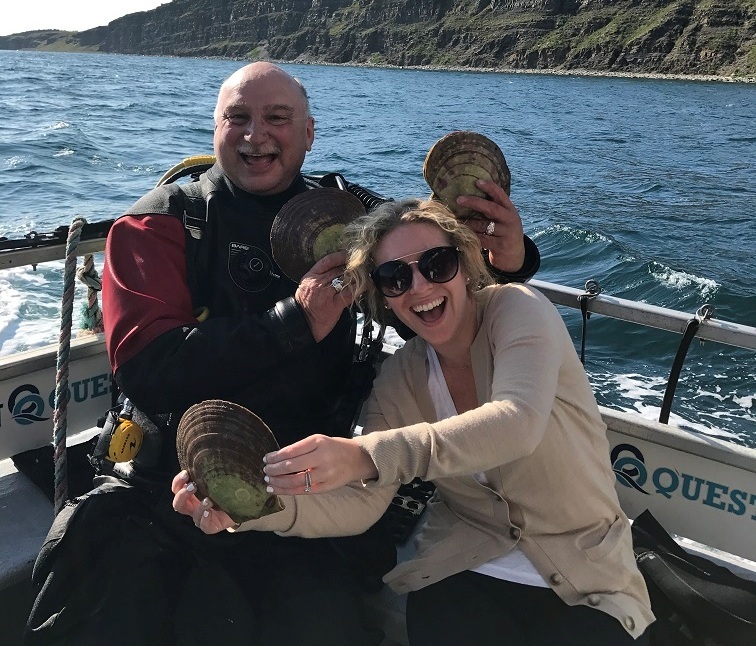 In 2018, ACAT has secured a number of media trips for the region from outlets such as ITV This Morning, one of Britain’s top morning news programs with more than 800,000 daily viewers; magazines Lonely Planet, National Geographic Kids, and Glass Magazine; newspapers The Mirror, City AM, Scottish Sun, Hello! Online, and Evening Standard Online. 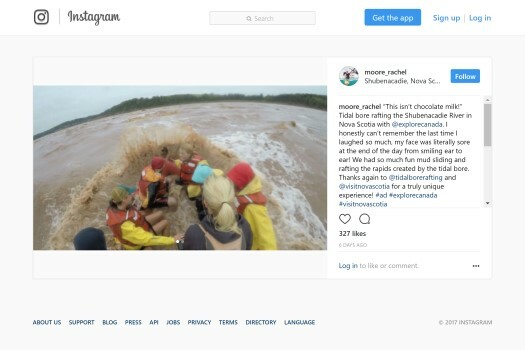 In recent years, the team has also been harnessing the growing power of social influencers specializing in travel blogs and video platforms. Influencers visiting Atlantic Canada in 2018 include Jeremy Jauncey, founder of Beautiful Destinations (presenting on behalf of ITV This Morning), Hand Luggage Only, Heather on Her Travels, and Paperboyo. 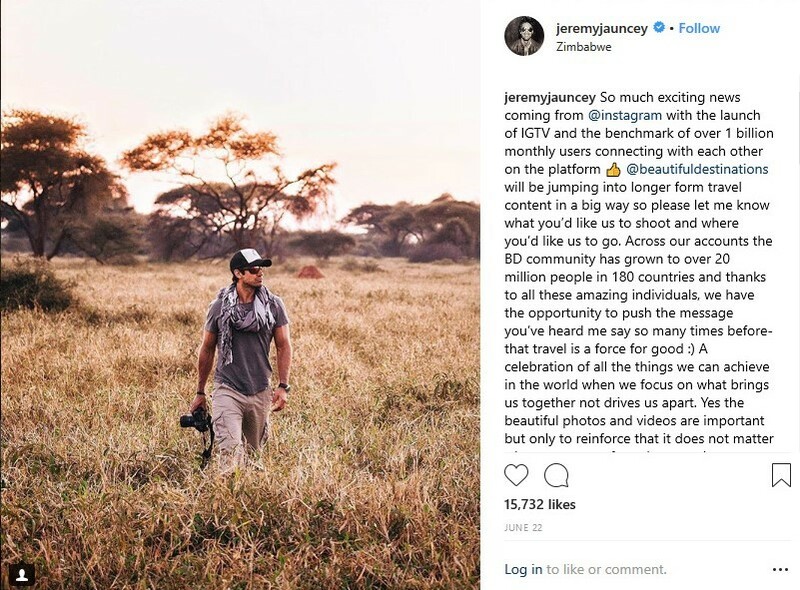 Jeremy Jauncey, founder and CEO, @beautifuldestinations. Image courtesy of @jeremyjauncey. This entry was posted in What's New on 08/27/2018 by Colleen Bowes. 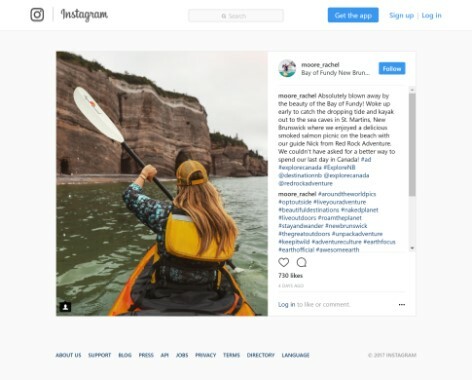 Media relations is a key thrust in the Atlantic Canada Agreement on Tourism’s (ACAT) 2018 marketing campaign, which aims to stimulate travel and grow revenue for the provinces of New Brunswick, Newfoundland and Labrador, Nova Scotia and Prince Edward Island from key US markets. The approach includes the regular distribution of news releases, in-market media events, desk-side media appointments, media outreach, social media amplification and media trips to the region. 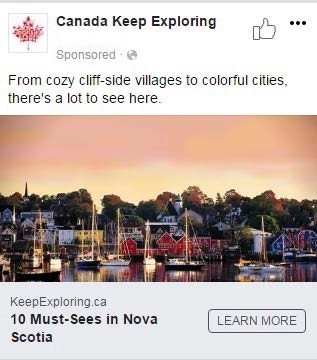 Redpoint leads all activities on ACAT’s behalf, building awareness for the authenticity and distinctiveness of an Atlantic Canada vacation and inspiring US media to produce features in print publications, online travel sites and social media platforms. Media trips to the region are a primary driver of editorial coverage in sought after digital and print publications and social media platforms. At their best, media trips align the interests of destination travel marketers, travel Journalists and travelers. Gina Dolecki and Rick Stanley of Ocean Quest. Fresh scallops for dinner during the Taste Beneath The Sea adventure in NL. Redpoint is well positioned to ensure alignment of all parties as they are firmly entrenched in Atlantic Canada having visited each province in the region a number of times. It is this personal knowledge and understanding which cements the relationship of all stakeholders. Redpoint has been highly successful in generating key media trips to the region. The provinces have or will be hosting media who write for publications such as Saveur, Afar, the New York Daily News, Food & Wine, Robb Report and the Improper Bostonian. Coverage in such publications is key to selling our destination to potential visitors. It offers important and relevant information to our target audience. Rather than simply promoting our destination ourselves, media coverage provides great value by generating awareness and potential visitors. Media coverage in such publications adds to reader’s perceptions of our credibility, whereas they may perceive advertising and paid promotions as self serving. In 2017, ACAT generated more than $750,000 in coverage with a circulation of more than 545 million. Impressive for a budget of $140,000. Here are examples of recent coverage for New Brunswick, Newfoundland and Labrador, Nova Scotia and Prince Edward Island. This entry was posted in What's New on 08/14/2018 by Colleen Bowes. 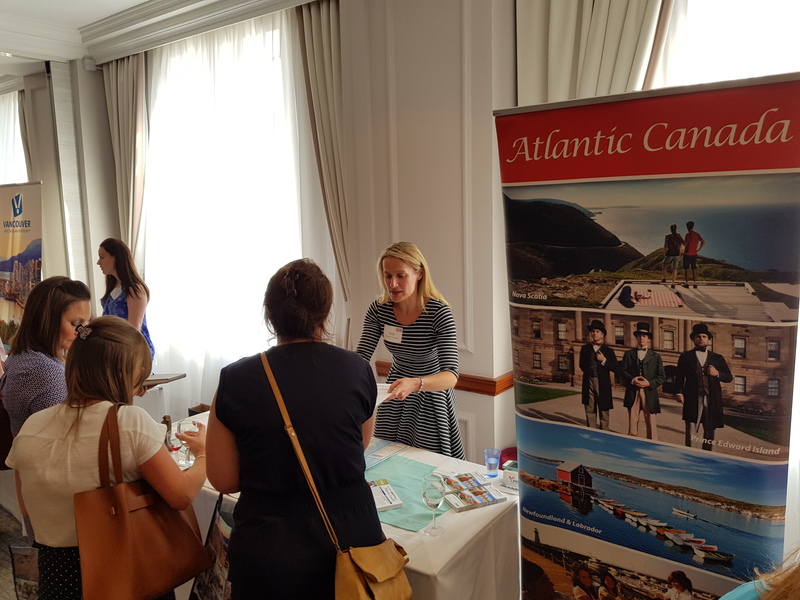 The Atlantic Canada Agreement on Tourism (ACAT) recently participated in Destination Canada’s Canada Specialist Program (CSP) annual UK roadshow. The CSP is an educational program for UK travel trade professionals, which includes online training, opportunities to participate in familiarization tours to Canada, and in-market events. The UK travel trade continues to be a key element in attracting UK visitors to Canada. 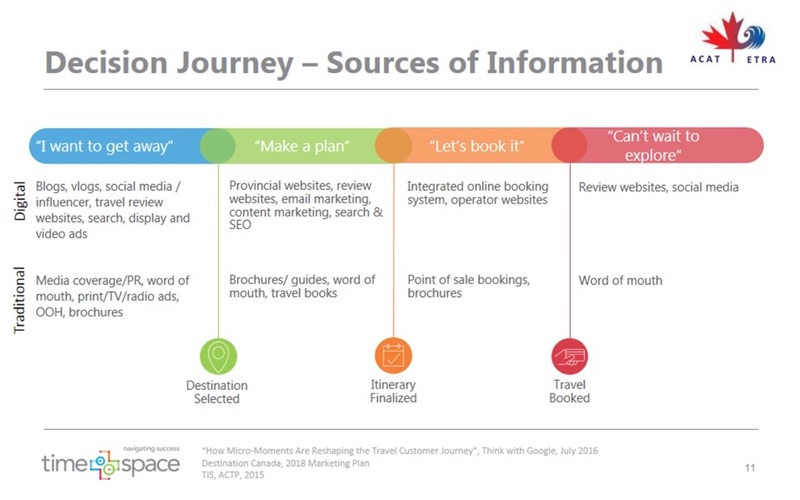 From the UK market, 24% of visitors to Canada consulted travel agents to plan their trip, 29% booked flights with a travel agent, and 25% booked accommodation with a travel agent. (Source: UK Global Tourism Watch 2016). The 2018 CSP UK Roadshow took place June 13 in Birmingham, June 14 in Exeter, June 18 in London, and June 19 in Manchester. The events combined a networking reception in which Canada representatives each had a display table, followed by a casual dinner and Canada quiz. CSP independent travel agents and reservations staff from key UK tour operators attended. In total, 270 agents were trained at this year’s events. ACTP UK Program Manager Kelley Keefe represented Atlantic Canada. Destination representatives included Vancouver, Whistler, Alberta, Manitoba, Saskatchewan, Ontario, Ottawa, Quebec, Yukon, St. John’s and Atlantic Canada. Suppliers included Air Canada, Air Transat, APT, British Airways, WestJet, Rocky Mountaineer, Sun Peaks, and Fairmont Hotels & Resorts. At the events, the Atlantic Canada mini presentations during the networking sessions were well received. Many guests commented that they were familiar with Western Canada, Ontario and Quebec, but they lacked knowledge of Atlantic Canada. The agents were very engaged and were especially surprised by the short flying time. This entry was posted in What's New on 07/06/2018 by Colleen Bowes. Consider how marketing has changed over time. What we deem today to be the most effective and efficient way to reach our customers may be obsolete next year, or sooner. As markets expand and new platforms emerge, the science and practice of marketing is being transformed by the minute. ACAT is proud to be on the leading edge, using technology such as artificial intelligence and strategies like influencer marketing. We have incorporated these into our tool box to ensure we penetrate and resonate against our target audience in the US. Work began on a social media influencer program in early March, with influencers in the region in June and July. 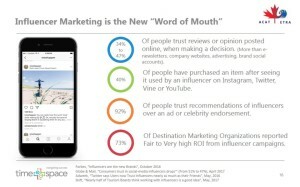 A social media influencer is a user on social media who has an established credibility in a specific area such as travel, culinary or lifestyle. They have access to a large audience through their social channels and can persuade them to use a product, visit an area or engage in an activity. Our ACAT program brings a total of eight influencers to the region from the New England and Mid-Atlantic regions of the US. Each province will see two influencers visit. The influencers will spend a number of days in the province, bringing that province to life through their own special style that connects with and inspires their audience. A minimum of 10 pieces of custom content will be produced for each province. The best performing content will be amplified with paid drivers. This means paid advertising to entice customers to click through to the newly generated content. All content is approved and owned by each province and can be pushed out further through their own social channels. To execute the program, ACAT is working with Time + Space Media, our contracted media planning and buying firm and #Paid, an industry leader in influencer programming. Their proprietary technology and expertise allows brands to be effectively matched with influencers whose content and followers will have the greatest impact on the campaign’s objectives. Stay tuned for a further updates as the program wraps up. This entry was posted in What's New on 06/21/2018 by Colleen Bowes. The Atlantic Canada Agreement on Tourism (ACAT) has been working cooperatively with Destination Canada to grow tourism in Atlantic Canada. In 2018, Atlantic Canada will invest in the Connecting America Program for the third consecutive year. This collaborative marketing venture brings partners from across Canada together to leverage an innovative, multidisciplinary, result-based marketing program focused on the US. The program’s overall objectives are to build buzz and excitement; improve knowledge of Canada as a travel destination; shift the perception to include warm, fun, exciting and urban; and to create a sense of urgency to visit Canada. The 2018 program is well underway. In 2017, Atlantic Canada’s investment of $500,000 leverages an additional $481,092 from Destination Canada. The total investment is used to stimulate interest and travel to this region of Canada. The campaign targets individuals age 25-44 from ACAT’s target markets of New York, Boston and Philadelphia who are interested in outdoor adventure, culinary and travel. To deliver province specific paid digital advertising to the target audience. Overall, the 2017 Connecting America Program achieved strong results in the US market, achieving or surpassing paid media targets with notable results of 5.8 million content views (including article and video views), 1.2 billion in earned reach and over 2.1 million leads to partners. 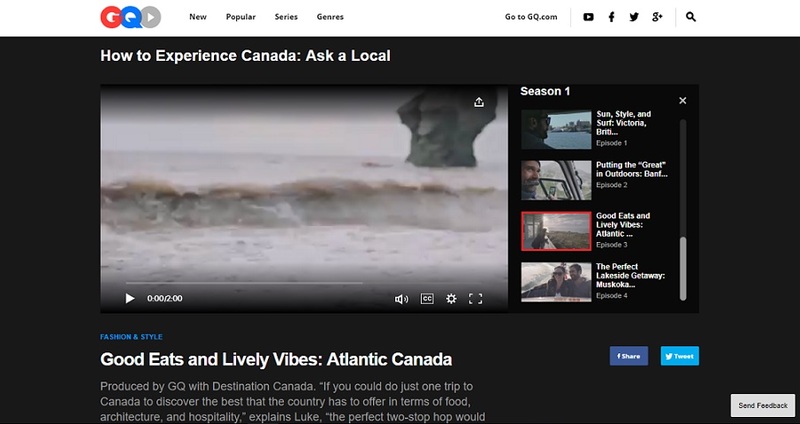 For Atlantic Canada specifically, there were more than 8.5 million paid impressions, articles and video views of Atlantic Canada focused content. The overall the click through rate steadily improved throughout the campaign, marked by an overall lift of 150% improvement from launch to campaign end. In addition, the campaign over delivered against the established lead target achieving a 158% of the goal (125,388 vs. 64,816). 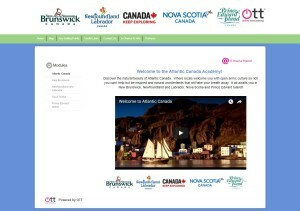 Here are samples of content, videos and social media posts created, posted and promoted on Atlantic Canada’s behalf. This entry was posted in What's New on 04/20/2018 by Colleen Bowes. The Atlantic Canada Agreement on Tourism (ACAT)’s UK program includes a robust media relations plan to generate media interest and coverage of the region in the UK. Based in London, the Brighter Group has been contracted to deliver the program, which includes media events, press releases, press trips, and more. 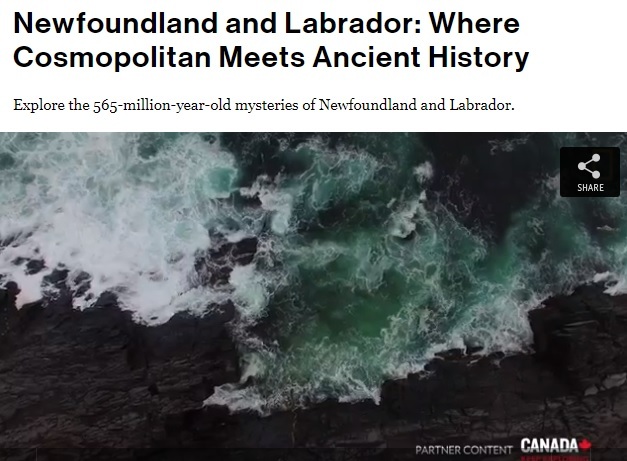 Resulting coverage in travel and lifestyle magazines, national and regional newspapers, digital and social channels builds awareness of Atlantic Canada as a premier travel destination, enticing UK travellers to make the journey. 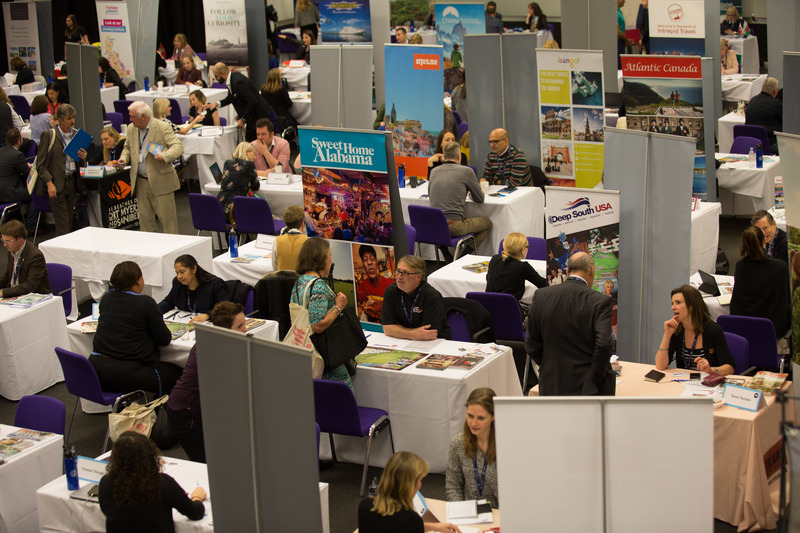 The Brighter Group’s Emily Olsen and April Cernuschi attended TravMedia’s annual International Media Marketplace in Westminster, London on behalf of ACAT. TravMedia’s International Media Marketplace is the world’s leading event connecting journalists with the global travel and tourism industry. 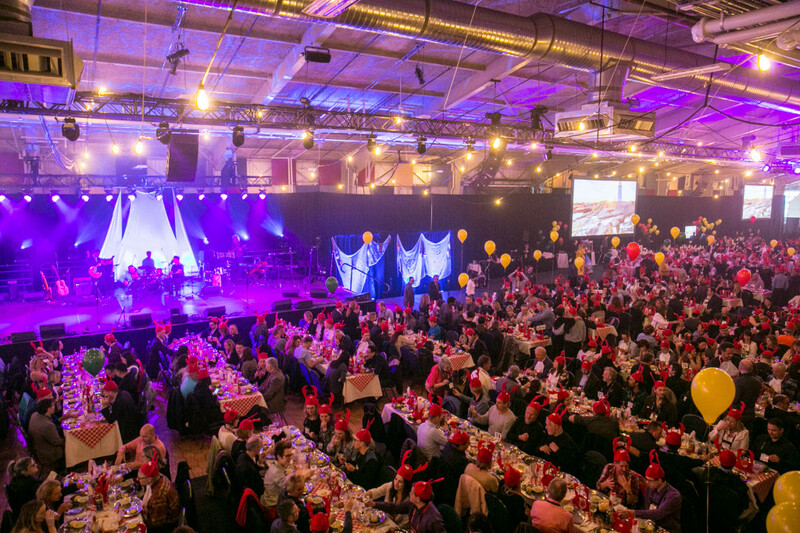 The ACAT table was situated adjacent to the Destination Canada table and several other Canadian Provinces and Destination Marketing Organizations. The format consisted of 15-minute meeting slots whereby media could meet with their chosen exhibitors. Brighter Group secured 28 appointments with consumer, trade and blogging media such as Express Newspapers, Travel Bulletin, Family Traveller, Rough Guides, Along Dusty Roads and Culture Trip to name a few. 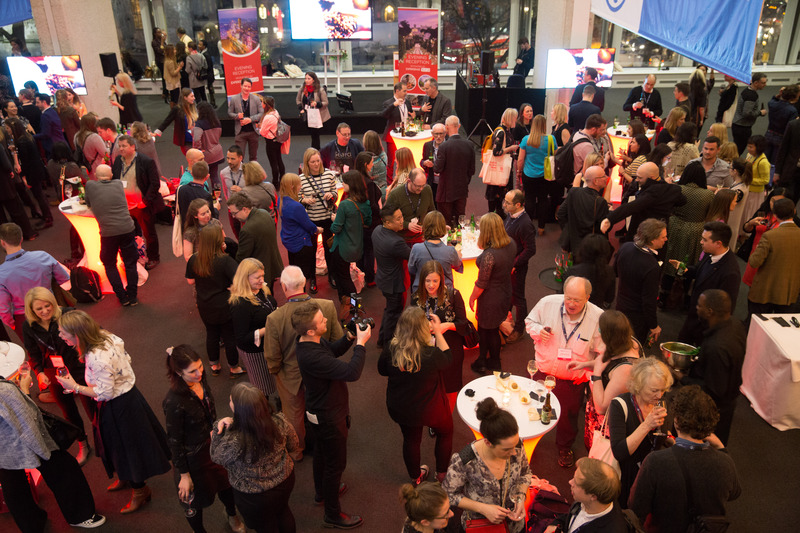 The TravMedia International Media Marketplace provided Brighter Group representatives an opportunity to meet one-on-one with UK media, present 2018 story ideas for general coverage, and generate interest in press trips for the upcoming year. Feedback from media appointments was quite positive and progress is being made to secure press trips and coverage in 2018. This entry was posted in What's New on 04/04/2018 by Colleen Bowes. Over the last number of months, the ACAT team has been working diligently to bring to market an innovative and compelling 2018 direct-to-consumer media campaign. 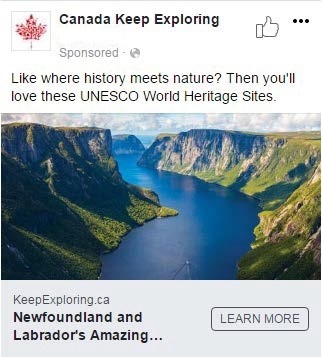 The goal is to enhance awareness of Atlantic Canada’s diverse tourism product in the US Mid-Atlantic and New England States and drive visitation and revenue for the four Atlantic Provinces (New Brunswick, Newfoundland and Labrador, Nova Scotia and Prince Edward Island). This is achieved through the delivery of a highly targeted direct-to-consumer campaign. ACAT’s customized research has identified three priority customer segments: Older Authentic Experiencers, Younger Authentic Experiencers and Cultural Explorers. These are the segments of the population, in our target markets, who are likely to visit Atlantic Canada. All of our efforts will be focused on these three groups. 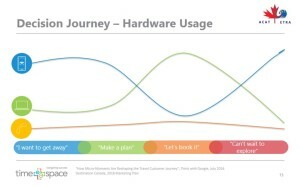 How are we reaching our priority segments? In 2017, we launched our first 100% digital direct-to-consumer campaign in the US and in 2018 we continue to focus all efforts on digital. 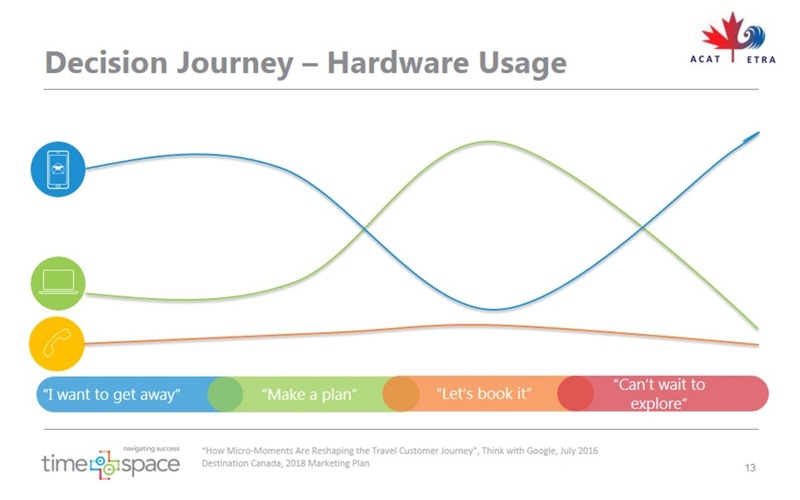 Research indicates consumers are online at each stage of the decision making journey and are using various hardware to research and book their travel. A fully digital campaign allows us to be a more interactive and engaging; which is more measurable, can be optimized in real time and is cost effective. The campaign elevates the profile of the four provinces, with our priority segments, using technology to prospect for high intent consumers and to align our content with the content our priority segments are looking at in both the inspiration and planning phases of decision making. The campaign launched in February and will run until the end of May 2018. We are launching our first ever ACAT Influencer program. 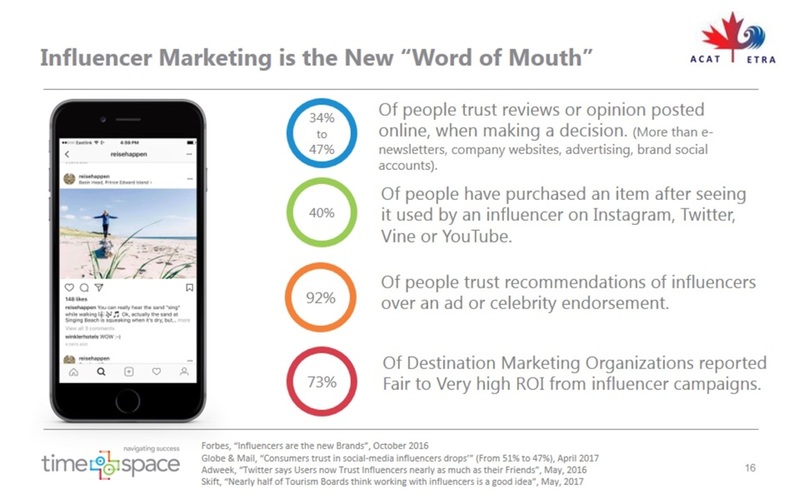 Influencer marketing is the new “word of mouth” which is very important in the decision making journey. 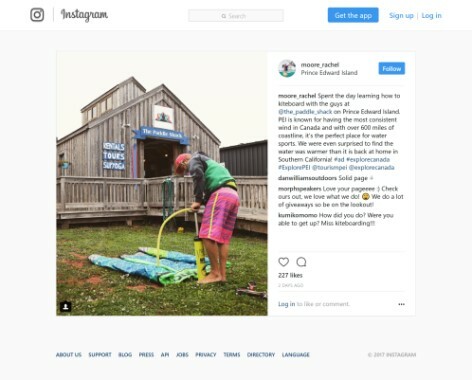 This new program will bring high quality social media influencers to each province in Atlantic Canada, beginning in June and July. 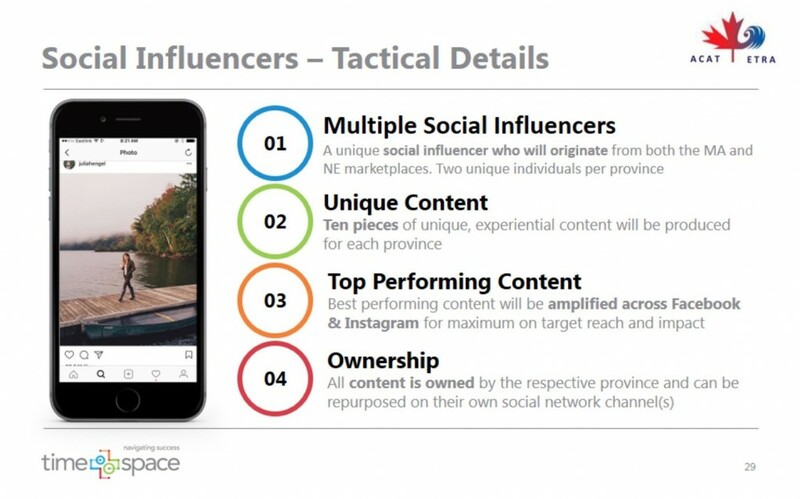 The social media influencer will create custom content they will share with followers on their social media platforms. We are also amplifying our social media reach with the inclusion of YouTube, Instagram and custom created content with the Boston Globe and Time Inc. The content is available on various platforms including desktop, tablet and mobile. Finally, we have enriched our programmatic buy through the addition of premium sites at a very attractive price point. Ads will be placed on sites such as the New York Times, Boston Globe, Boston Herald and Travel and Leisure. All of the efforts outlined above are focused on driving visitation and revenue for our region. This entry was posted in What's New on 03/25/2018 by Colleen Bowes. ACAT hosts a training program for UK and US reservation staff and travel agents on the Online Travel Training (OTT) platform. The OTT Atlantic Canada Academy program consists of five core modules, beginning with Atlantic Canada, followed by one module each for New Brunswick, Newfoundland & Labrador, Nova Scotia and Prince Edward Island. Agents are tested at the end of each module and ultimately receive a certificate as a certified expert on Atlantic Canada. Bonus materials are placed along the top tabs, including maps, frequently asked questions, regional contacts, key selling points, links and more. The course delivers a detailed introduction to the region, and will also serve as a future reference site for agents preparing information for clients interested in visiting the region. The OTT platform is also supported by a targeted marketing program.